More Americans than ever before are suffering from chronic diseases such as diabetes and heart disease. As doctors research to find ways to manage these health issues one thing is becoming clearer, and that is the connection between oral health and systemic health. Did you ever think that your oral health could affect your entire well being? Your Norwood dentist has more information on this important health connection. What is the Oral Systemic Link? Research is finding a connection between periodontal disease and chronic health conditions like heart disease. Periodontal, or gum disease is caused by excessive build up of plaque and bacteria on your teeth causing your gum tissues to separate from your tooth. This bacterium can enter your bloodstream, which is what contributes to more serious health conditions. By improving and maintaining good oral health you may be able to improve your overall health and better manage chronic conditions. Regular dental visits are critical because gum disease is often hard to detect on your own. There’s not much pain associated with it at first, and it progresses gradually with very few symptoms. The good news is that the early stage of gum disease, known as gingivitis can be controlled and even reversed with improved home care and a thorough professional cleaning. In this stage you may notice that your gums are red and swollen, and they bleed easily when you brush or floss. Visiting your dental team at least twice per year and good oral hygiene at home will help you manage gum disease. Using an antibacterial mouth rinse can also help you contain the bacteria and acids in your mouth which contribute to gum disease. The advanced stage of gum disease is known as periodontitis, and it’s in this phase that severe damage can occur to your teeth and bone. Plaque that is not removed daily hardens into tartar, which builds up below your gum line. The damage caused by periodontal disease can eventually lead to loss of gum tissue, teeth and bone. This phase requires a more extensive deep cleaning, called a scaling and root planing to remove the excessive build up of tartar. Understanding your risk for periodontal disease may help you to prevent it from happening in the first place. Smoking, nutrition, age, genetics and certain medications all play a factor in an increased risk of gum disease. Your dentist in Norwood, MA can help you to prevent or manage periodontal disease depending on your needs. The team at Central Dental Associates is prepared and well equipped to guide you through any stage of gum disease that you may be facing. We offer state of the art dental care at our facility, in a comfortable and friendly environment. 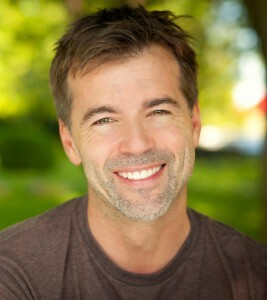 If you suspect you may have gum disease, contact us right away. Your health is too important to risk waiting!